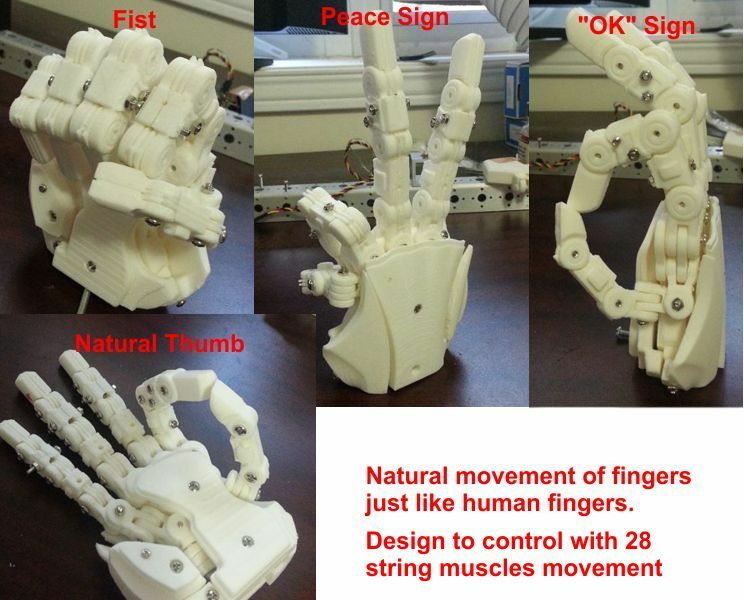 Took me many hours of non-sleep to finish the most natural movement robotic hand. Designed and print from 3d printers. 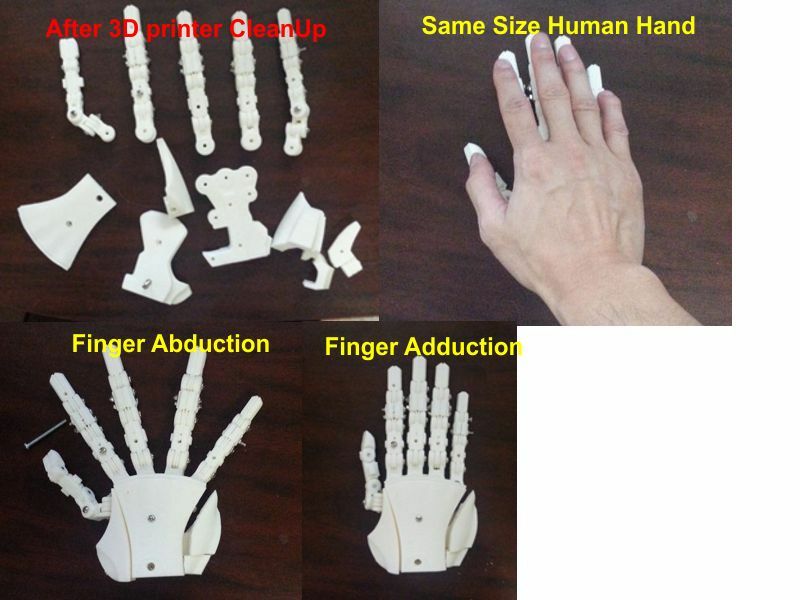 It takes about 3 hours to print one finger, the hand took about 3 days to print. The finger can do abduction, adduction, flex and extention. Even the palm can move too. 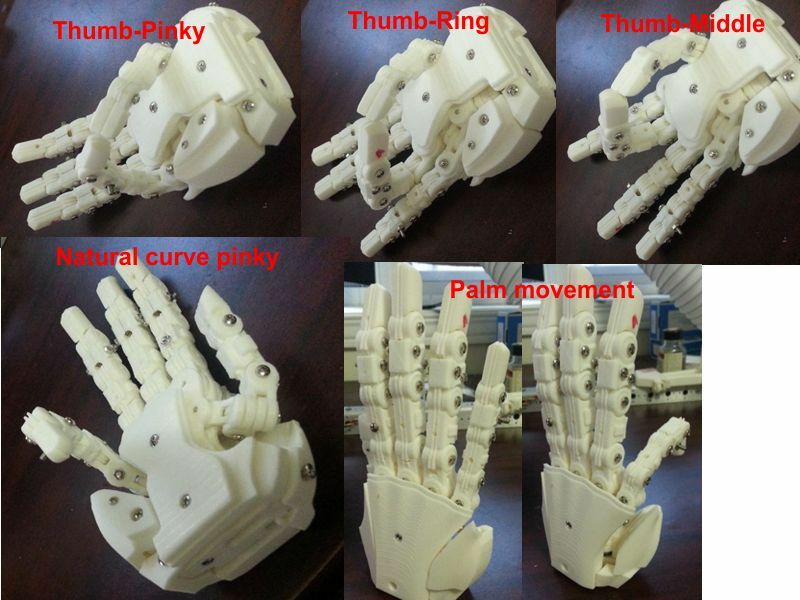 Pinky and thumb movement is almost like human. From posing peace sign, "OK sign" and even make a fist too. The thumb can touch all fingers. I probably going to try both to see which is better. It has been a long time since I last logged in 2011 and a lot has happen to me, one of which I had a heart attack in 2011 and double by pass heart surgery in Feb 2015. Since the surgery I can only sit around and not do much for a while till things heal, so I have had time to reseach about building things like 3D printers and robots. There are many video's on youtube now on how to make homemade 3D printers, plus over the last few years I have been collecting old printers for parts. 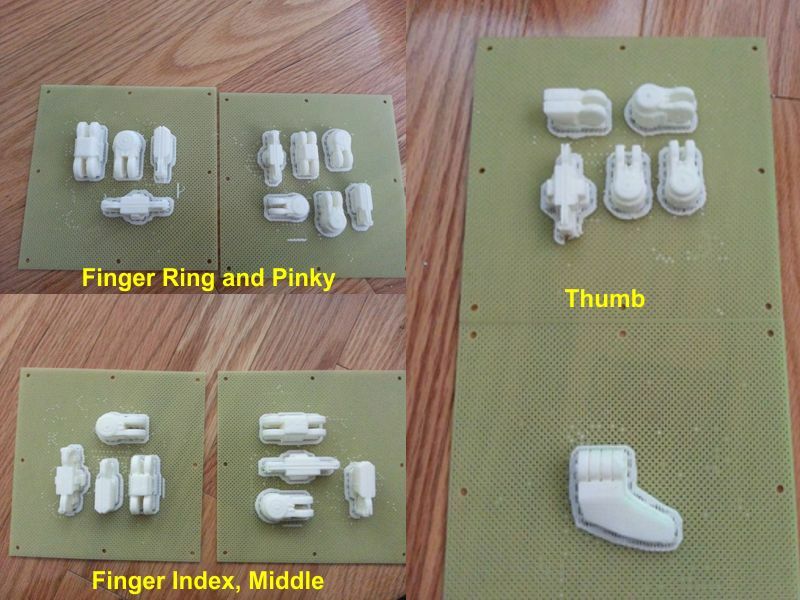 I also found a guy this year who is 3D printing all his robotic parts and has made them open source. Of course you still have to purchase servo and stepper motors and other stuff but it gives anyone with a 3D print a place to start learning. Now this is not meant to replace Aiko but as a way to develop the inner frame work. Who knows maybe in the future we will be able to change robotic body parts as easy as changing cell phone covers by 3D printing them out. 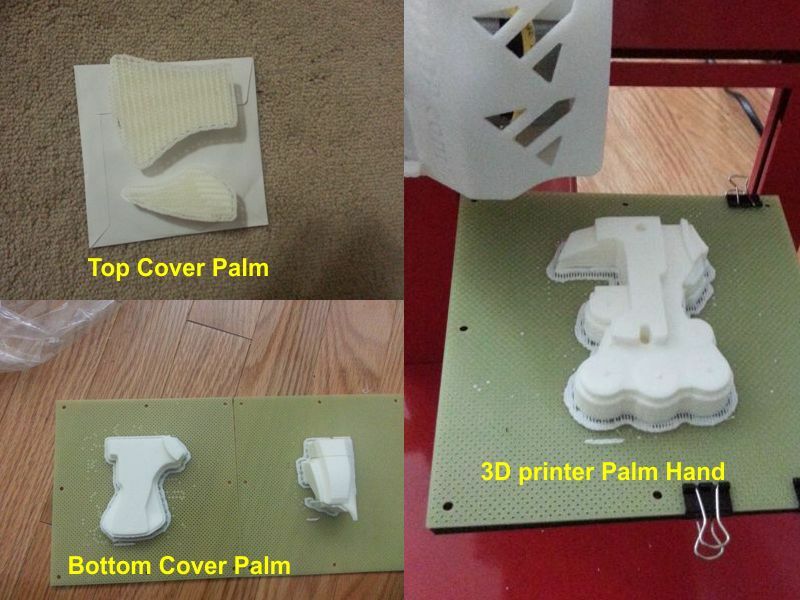 I found this link on how to make a poor man's 3D Printer for under $100 on Instructable. You can make one from scratch. plus you can make your own filament hot end. recycling failed prints to create DIY filament. but it would probably make a good mini mold press machine.